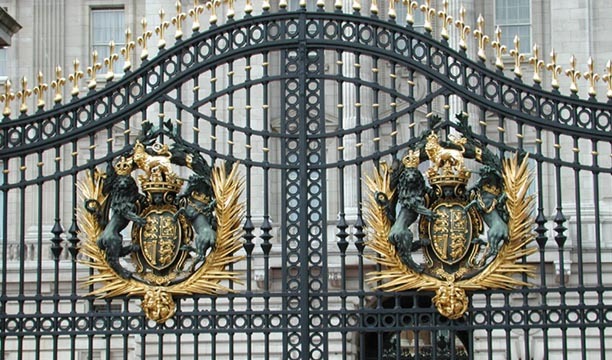 Coats of Arms, Buckingham Palace. Gilt and wrought iron. Location: At the end of the Mall.